Advanced Pro-VeFlora is a vegan and diverse high quantity blend of 50 billion micro organisms* including bifidobacteria, streptococcus thermophilus and lactobacillus. Different strains of bacteria are often found to be beneficial individually, but can be better combined. There are as many bacterial cells in the human body as there are regular human cells. Some argue that we are more bacteria than human. Beneficial bacteria are a useful tool in practice and daily life to make sure that the gut's ecosystem has a healthy and diverse population. This is why we have used a mixture of bifidocateria, streptococcus and lactobaccilus strains within Advanced Pro-VeFlora to achieve a more diverse flora in the gastrointestinal ecosystem. 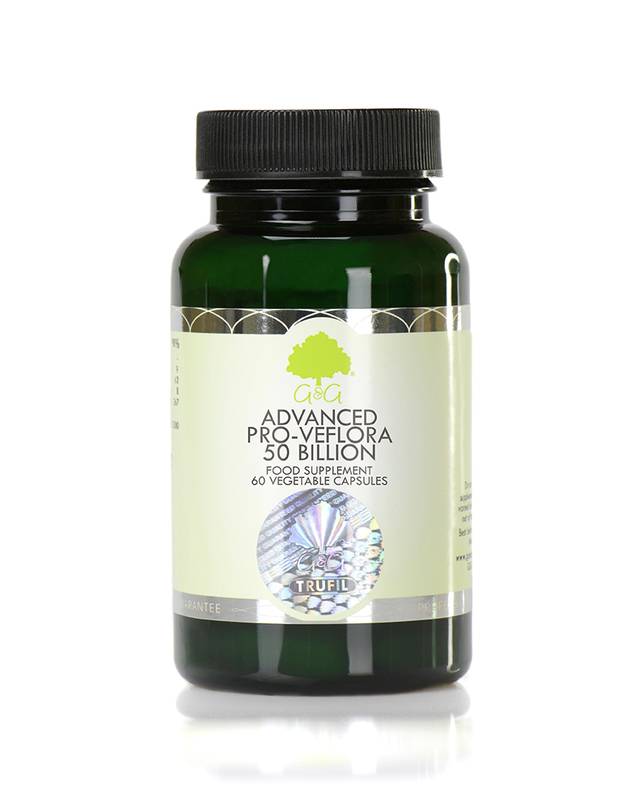 A vegan friendly blend of multiple bacteria strains with a high strength (50 billion per gram) is an excellent way to reinoculate the gut for maintenance or to take back control of GI health. Advanced Pro-VeFlora is suitable for vegetarians and vegans. Take 1 capsule twice daily with water, before a meal or as directed by a healthcare professional. Store out of the reach and sight of young children. Great for the digestive system! These are excellent, taking these has meant being able to stop taking omeprazole. Excellent product and service.